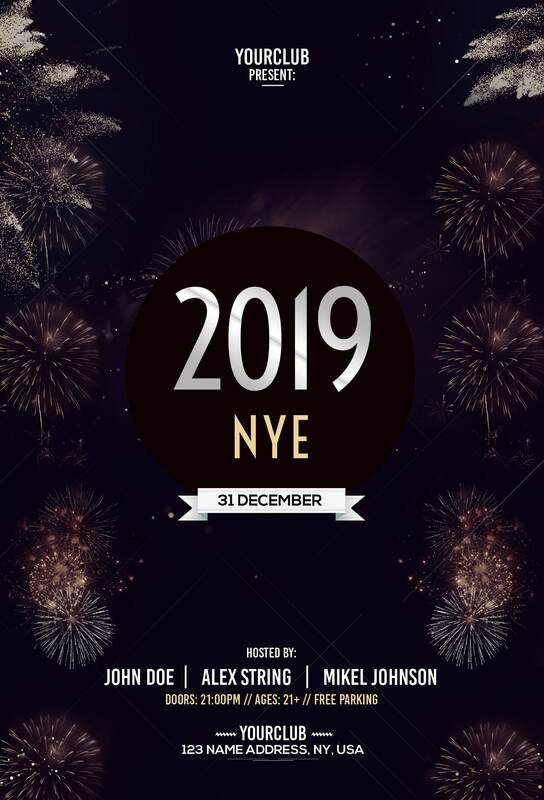 Download 2019 NYE PSD Flyer Template for Free. This New Year Eve Flyer Template is available as a freebie to download. This creative flyer is suitable for any NYE Party, New Year Celebration & Other party purposes. 2019 new year eve flyer is fully editable and easy to customize. Let’s celebrate 2019 with this awesome flyer design!